The new Peter Sommer Travels brochure for 2018 is ready and has been making its way to letterboxes in many countries over the last few weeks. If you are interested, you can browse it on our website, or download it as a pdf. If you want to handle the printed version, you can request a copy here. Depending on your travel plans for 2018, it is worth a look. If you are looking for a personally-designed special tour, scroll to the bottom. In the following, we add some extra information and observations on the trips we offer for 2018. If you are familiar with Peter Sommer Travels (we have a great many returning guests every year and we salute them), you might find it interesting to see how our programme is developing. If you don’t know us yet, but are curious about us and our offerings, this is a good place to start. In recent years, our active season, when we are leading and guiding tours in the six countries we currently cover, has been growing longer and longer. In 2016, we had a seven-months-season, this year it was more than eight! Our first trip was a private tour of Ireland in late March and our last one was a private family exploration of Athens and the Argolid (a region of fantastic historical and archaeological wealth in the northeastern Peloponnese) that finished just a week ago (I led both of those trips and I consider it an honour). From our most recent tour: olives waiting to be pressed near Argos in the Peloponnese, Greece. Now, we have time to look back at this busy year – but not for long: preparations for new tours and modifications to existing ones are already underway. Not only is it our aim to constantly increase the range of experiences we can offer our guests, but – every bit as importantly – our benchmark for all the tours and cruises we offer is that they be the best-prepared and most carefully-planned available, meaning constant effort in updating and maintaining these wonderful voyages of discovery. To check what we are up to, you can always have a look at our Facebook page. You will see that we don’t intend to rest on our laurels. Laurels? Well yes, after winning AITO’s (the UK Association of Independent Tour Operators) Tour Operator of the Year Gold Award for 2015 (based on independent traveller reviews), we followed with Silver for 2016! So, the 2018 brochure is now ready. After the exciting boost of innovation in its 2017 predecessor, which included three countries never featured in our brochures before (Croatia, the United Kingdom and Ireland), the 2018 version is a little calmer. We are certainly continuing on our ambitious programme of expansion, but 2018 is a year of deepening, rather than broadening, the experiences we offer. That said, we have already prepared three new itineraries (two in Greece and one in Croatia) and we are offering one cruise in Turkey that we have not been running for a number of years. Overall, the 2018 brochure contains 39 scheduled tours on 27 different itineraries in six countries. That would in itself be an all-time record for us, but as our programme is constantly developing, it is already superseded by the up-to-date range of trips on our website! A view over the roofs of Ragusa or Dubrovnik, an immensely important but often ignored historic rival to Venice. The 2018 brochure is only the second to include Croatia, although it will actually be the third year that we are able to run cruises there. For the time being, all our Croatian offerings are gulet cruises focusing on the shore and islands of Dalmatia. In 2018, we have scheduled nine cruises on five different routes. Paradise: seaside lunch at Dingac, one of Croatia’s most celebrated wine regions. In 2017, we added two new Dalmatian itineraries. Cruising the Dalmatian Coast: from Šibenik to Zadar is a superb complement to its southern equivalent, more off-the-beaten-track and more intimate in character. We are offering it three times in 2018, in May/June and September. Walking and Cruising Southern Dalmatia is a welcome addition to our “Walking and Cruising” range, and the 2018 version takes place in September/October, providing access to a very intense and physical experience of beautiful landscapes and fascinating monuments in Southern Dalmatia. Our new Croatian offering for 2018 is A Gastronomic Cruise of Dalmatia, only the third (after Turkey and Sicily) in our range of gastronomic itineraries, a field we are eager to expand. 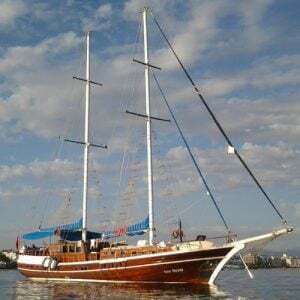 It combines the pleasure of a gulet cruise with the unique opportunity to discover the cuisine of a region that has been a cultural melting-pot for millennia. Leisure cruises between coast and islands are interspersed with a broad range of gastronomic adventures: wine-tastings in some of the county’s prime wineries, visits to venerable konobas, the traditional wine-and-food-bars so typical of Dalmatia, meals in selected restaurants, cooking classes and much more will provide a uniquely memorable take on one of Europe’s most attractive coasts. The cruise is running in September/October. The partially reconstructed Temple of Athena is the key landmark at ancient Priene, one of the best-preserved Greek cities on the Mediterranean. Turkey is where Peter Sommer Travels ran its first tours over 20 years ago. We are thrilled to see a renewed interest in our tours and cruises there: Turkey merits discovery and rediscovery! In 2018, we are running a selection of our classic cruises there, namely seven scheduled trips on five cruise itineraries. Cruising to Ephesus is an ideal tour to serve as an introduction to the archaeology of Western Anatolia specifically, and to Greek and Roman antiquity in general. It is scheduled for June and September and includes first-rate sites like monumental Ephesus, superb Priene and atmospheric Miletus. Cruising the Carian Coast, following one of the most unspoilt shores of Turkey, gives access to unforgettable ancient sites like Knidos, Kaunos and Loryma. It runs in June, from the Aegean to the Mediterranean, and in September vice versa. Our designated Gastronomic Cruise of the same shores is set for May/June: it focuses on the rich and delicious culinary tradition of the region, including superb meals, cooking experiences, meetings with local producers, and tours of the ancient sites, led by an exceptional guide whose long-standing archaeological experience competes with his deep knowledge of the local cuisine. Stupendous: the Hellenistic and Roman theatre at Patara in Lycia. In Lycia, a region that blends the evocative and mysterious remains of a local Anatolian culture with those of Greek and Roman influence, we offer our two-week archaeological cruise, Cruising the Lycian Shore, in September. Our Walking and Cruising the Lycian Shore itinerary (also two weeks) offer a different take on the same region, accessing a host of wonderful landscapes and ancient sites – including remote and rarely-visited ones. It runs in September/October. For the first time in a number of years, we are also offering our Walking and Cruising Western Lycia in May. This week-long tour combines an array of archaeological adventures, taking in a series of important and inspiring ancient sites of great beauty, approached on foot through the remote and beguiling landscapes that surround them. In springtime, they will be at their best, strewn with flowers and engulfed in the clear and fragrant air that precedes the summer haze. The historical content of the tour features great diversity and even greater fascination; the walks are sheer pleasure, between three and five hours in length, complemented by the joy of life aboard a wooden gulet. In recent years, Greece has become a very important setting for our tours and cruises. Our first Greek cruise took place in 2009 – in 2018 we offer twelve scheduled trips on eight different itineraries there, and more are in development. In 2018, we are thrilled to offer our classic two-week Cruising to the Cyclades twice (in May/June and in September). It is a superlative tour, taking in highlights like volcanic Santorini with its extraordinary prehistoric heritage, vivid Kos, full of Greek and Roman treasures, Delos, the whole islet being perhaps the most significant archaeological site in the entire Aegean, splendid Naxos, and a great many remote islands. It is a most extraordinary panorama of the Aegean Sea and its colourful history. It is complemented by the two-week Cruising the Dodecanese, which takes place in September and gives access to an often-overlooked range of islands, each with its own character and history and each revealing different aspects of the melting-pot history of a region between cultures. World-class museums in Samos, Kos and Rhodes are part of its story. For those who prefer a one-week cruise in the same region, our itinerary Cruising the Aegean: from Kos to Patmos (and back), offers a leisurely and insightful approach to a fascinating range of islands. including Kos itself, verdant volcanic Nisyros, rugged Kalymnos and Byzantine Patmos. It runs in May/June, June and September, and as a Family Adventure in July. We have also developed great land tours in Greece, following our “Exploring Tours” model, offering extraordinarily carefully prepared experiences of archaeology, history, culture, tradition and food – the best-prepared land tours of Greece currently available. Flowers at Aptera in West Crete. The oldest of them is Exploring Crete, its wide scope ranging from Bronze Age Minoan palaces via Classical cities and Byzantine painted churches to Venetian fortified cities and Ottoman mosques, but also including a panoramic approach to the island’s extraordinary wealth of landscapes, from sandy shores via fertile coastal plains and picturesque rolling hill country to rugged mountains and alpine scenery, not to mention Crete’s stupendous spring flowers. The tour also entails wonderful experiences of the celebrated Cretan cuisine, approached through a delightful range of local meals, and accommodation in hand-picked rural and city hotels. We have scheduled it twice, in April and October (the latter is not included in the brochure), and other dates may still follow. The extraordinary 4th-century BC city walls of Messene are one of many archaeological highlights in the Peloponnese. In May and October, we are offering our highly successful Exploring the Peloponnese (two weeks, introduced in 2016), a superlative tour of a well-travelled region, but introducing a very fresh perspective, offering new insights and an unparalleled narrative encompassing four millennia of history, visiting six UNESCO World Heritage Sites, as well as many places, sights and views unique to this itinerary. As always on our “Exploring” tours, they are complemented by wonderfully characteristic places to stay, excellent wine-tastings. and our expert guides’ deep knowledge of the region in all its aspects (for a review of this tour, see here). That’s not all. In 2018, we are offering two new tours in Greece. The Parthenon. One of the most important buildings in world history. Easter in Athens amalgamates our long-standing Exploring Athens itinerary, a full-on introduction to the architectural and artistic remains of Classical Athens, the most influential city of antiquity besides Rome, with the rich tradition of Greek Orthodox Easter. On the archaeological side, it includes all the main monuments in the city: the Acropolis and its museum, the Kerameikos and Agora, the National Archaeological Museum. During Easter week, we are also able to witness and perhaps participate in the ongoing traditions unfolding in around the city, including special services, processions, chants and meals. It all builds up towards the culminating events of Greek Easter: the spreading of light and the rich Easter Sunday feast, an indulgent and joyful celebration of renewed life. This tour promises to be a rich mixture of deep cultural insights, of the profound and insouciant spirituality distinctive to Greece, and of the deep and sensual joy that modern Greek life can offer. A wonderful walk rewarded by fantastic views of the neighbouring islands: the castle of palaio Pili on Kos. Walking and Cruising the Dodecanese is our other new Greek tour. After years of preparation, we are excited to present this tour now. It combines the joys of travel on a traditional gulet with a rich range of medium-length walks, all of them designed to give access to archaeological and historical sites not normally accessible to our guests. Extraordinary maritime and island landscapes will be the approach to even more extraordinary ancient sites, many of them nearly untouched by mainstream tourism. Undiscovered ancient Greek cities, distinctive and well-preserved Byzantine churches and extraordinary remains of Second World War defences are all part and parcel of this unique itinerary. We are working on more cruise and land itineraries in Greece, which will be presented here in due course. If you are looking for a special private charter or a tailor-made land tour, you may have access to our ongoing preparation for an even wider range of experiences in Greece, offering access to more landscapes, more archaeological and cultural sites, more culinary experiences. The unfinished 5th century BC Greek Temple at Segesta on Sicily is both mysterious and beautiful. In Italy, we are building on nearly a decade of experience. The country has been a European and global cultural heartland for well over two millennia and we are eager to bring its deepest stories and meaning to our guests. Each of our Italian trips is based on years of preparation. In 2018 we are offering seven scheduled trips on five itineraries. Exploring Sicily (a two-week land tour) is one of our “Exploring” tours and offers unparalleled access to an island that is extraordinary in all regards. Combining the presence of Sikels, Greeks and Phoenicians, Romans, Byzantines, Arabs, Normans and beyond, it is the best-prepared tour of the Mediterranean’s largest island currently available, presenting the full diversity of Sicilian culture, tradition and cuisine, encompassing expert-guided tours, carefully selected meals and tastings and hand-selected accommodations you will not find on other tours. Our Gastronomic Tour of Sicily is a world-class food tour in every sense: world-class food and world-class narrative, not least due to the superb connoisseur guides who present it. Fine restaurants, local producers, dishes demonstrating the multi-faceted gastronomic tradition of the island – a reflection of its very diverse history – as well as hands-on experiences, select wine-tastings, all embedded in the cultural history of an endlessly fascinating island. The food experiences are complemented by visits to some of the region’s key sites: it adds up to make for an unforgettable trip. We have recently redesigned this itinerary to focus more strongly on our guides’ unparalleled access to the many aspects of Sicilian food it has to offer. It is running twice, in late September and in September/October – if you are interested in an in-depth engagement with one of Italy’s finest and most fascinating culinary traditions, this is your chance! Cruising the Amalfi Coast, the longest-established of our Italian itineraries, is running in September. Its superb splendours include fabled Naples, the super-site of Pompeii and the islands of the Bay of Naples, such as Ischia and Capri. 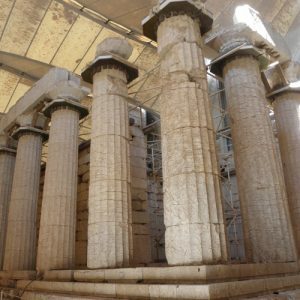 This tour takes in a great swathe of superbly important historical and archaeological sites, ranging from ancient Greek and Roman via medieval to Baroque and modern, opening up profound insights into central aspects of history, art, architecture and civilisation in general. It offers a uniquely memorable approach to one of Italy’s most famous cultural core regions. One of the most impressive buildings of all times and cultures: the 2nd-century AD Pantheon in Rome. Exploring Rome is a superlative experience of one of the world’s most historical cities, a place where a distinct and sophisticated modern lifestyle is based in centuries of tradition and where the contemporary visitor encounters dozens of layers of rich history at every step. Only the most informed guiding can give full access to the depth of Rome and that is what we offer. 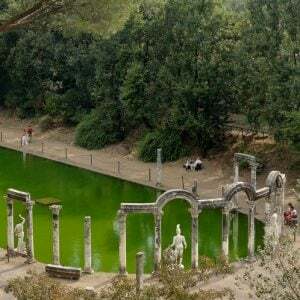 The tour encompasses highlights of Rome, as well as hidden corners, and forays into the city’s beautiful hinterlands. In 2018, we are offering this gem of a tour in November, set deliberately far from the “madding crowds” that teem in Rome during the summer months. Ancient amphoras from underwater excavation on display in the Lipari Museum. Introduced in 2017, our Cruising the Aeolian Islands is one of our most unusual itineraries, a wonderful one-week experience of a distinctive and often-overlooked group of small islands between Sicily and the Italian mainland, revealing many archaeological and cultural discoveries while offering the full enjoyment of a gulet cruise. It is a unique tour, combining isolated remote islets with buzzing centres of la dolce vita, encompassing a grand panoramic experience of this very distinctive corner of the world. In 2018, this excellent itinerary is available in June. The “Castle” of Dysart O’Dea, a 15th century Tower House in County Clare, Ireland, exemplifying the region’s turbulent history. In 2017, we began to offer tours nearer our Welsh home. The region, being where we are based, had been on our mind for many years, and we felt that we could bring something new to the experience of travelling there. Far away from Mediterranean water and wooden gulets, this idea required a different approach. Having developed the principles of our “Exploring” tours in Turkey, Greece and Italy, we decided to transfer the same ideas to our homelands: painstaking hands-on preparation, a distinctly regional perspective, a holistic attitude to a region’s history, a desire to draw archaeology, history, art, tradition, landscape and gastronomy into a full panorama of the region, taking in superb local hotels, if possible in historical or traditional settings, and a well-informed selection of very local food and wine (and beer) experiences, all presented by guides and experts who combine profound knowledge and familiarity with a passion to communicate them. Our 2017 tours of Britain and Ireland were enormously successful and we hope to expand on them soon. Stonehenge: five millennia of (pre)history, a thousand questions and a huge achievement of early Britain. We are based in Monmouth, which is in Wales, but close to the western borders of Wessex, one of England’s core regions since prehistory. Our first tour in southern Britain, introduced in 2017, is Exploring Wessex, from Neolithic Avebury to Georgian Bath, a 7-day tour that includes an enormous range of cultural and historical highlights: Neolithic Stonehenge and Avebury, Roman Corinium, medieval Salisbury, Georgian Bath. In a well-travelled region we have devised an itinerary that relies on superlative preparation and years of research, combining famous highlights with unexpected surprises, all forming a grand narrative of England’s history. A swathe of English countryside, from rolling Cotswolds hills to fertile plains to the park-like pastures of Somerset, opens up a panorama of an ancient land. Hadrian’s Wall, one of the most impressive and most approachable monuments of the Roman Empire. In Northern England, we offer a Exploring Hadrian’s Wall tour, a trip that ran with great success in 2017. Focused on the most remarkable of monuments left behind by the Roman Empire in the romantically wild uplands of Northumbria, but embedding it fully in the history of its remarkable surroundings, from Roman via medieval to more recent periods, our tour is a second-to-none experience. Led by experts whose excitement about the historical environment is matched by their profound knowledge, it offers insights on a living landscape going back two millennia, and taking in many fascinating stories of all those eras at every step. The pattern-covered 5000-year-old entrance stone to the megalithic passage-tomb of Newgrange at Brú na Bóinne in Ireland, one of the most extraordinary monuments of Neolithic Europe. Our “Exploring” principles also apply to the “Green Isle” (and yes, it really is that green!). Our twelve-day Exploring Ireland: the Heart of the Emerald Isle is a tour designed by thinking “outside the box”, designed to be the best possible tour of the central part of Ireland, from Dublin and the historic province of Leinster to the western shores of Connacht, bordered by the wild Atlantic Ocean. It encompasses a vast history, from Neolithic tombs and Celtic strongholds or “royal” forts, via medieval monasteries and castles to the villages and towns and “Great Houses” of the early modern era and to Dublin itself, the vibrant capital of an extraordinarily dynamic country. A unique variety of landscapes, from rich pastures in the east to the barren limestones of the Burren and the Aran islands and the boglands of Mayo is filled with innumerable historic sights and – the most Irish thing of all – a never-ending array of stories to tell. Irish history is complex and our experts are there to tell it. Superb accommodation in historic hotels and the excellent cuisine of Ireland round off the experience. A view of Leros in the Dodecanese (Greece) taken on a private trip in June 2017. Our scheduled tours, described above, are the core of what we can offer you – but there is more! Our experts’ profound knowledge of the regions we travel, our painstaking preparation of every day and every experience, our fluid narrative, our local contacts and our touch for detail are also available for your very own unique private tour, on land or on water! Depending on your own interests, your group of friends or family, your time and timing, we are ready to design bespoke tailor-made land tours in all the countries we currently cover: Turkey, Greece, Croatia, Italy, the United Kingdom and Ireland, in the areas covered by our scheduled tours and cruises, but also beyond. If there is a region you fancy, or a historic period you want to see and experience hands-on, or a theme you are fascinated with and want to explore, be it battles, beliefs or buildings; poets, philosophers or peoples; cities, civilisations or concepts – we are able to craft your very own and very special tour. The 9th, or 10th, or 11th century AD Round Tower of Glendalough in Ireland. Image taken on a private tour in spring. Confused about the date? It’s part of the story we tell you! In the Mediterranean, we offer private gulet charters, namely in Turkey, Greece, Croatia and Italy (from east to west) and we can design your very own cruise itinerary, with expert guiding, in all of those countries. Silent coves or buzzing ports, world-famous archaeological sites or off-the-beaten-track secrets, daring hikes or leisurely strolls: it’s all there for you, we design the cruise you want. A Peter Sommer Travels family charter is an unforgettable experience, creating memories for a lifetime. If what you seek is a very special cultural trip on land, led by true experts with full access to the stories of a region or country and designed just for you and your friends, family or colleagues, our tailor-made options offer you a wide range of unique once-in-a-lifetime experiences. For an introduction to our charters see here, for bespoke land tours, please contact us directly. I’ve tried to tempt you. What we offer you is access to the best-prepared trips, the most carefully thought-out narratives, the highest-quality experiences of the regions and sites we would like to share with you. You might be a first-time visitor to an area, or a well-acquainted repeat traveller, we can give you a fresh or a refreshing insight and a perfect approach to any of the places we cover. If we’ve tickled your appetite, please have a look at our brochure (browsing, download or to request a printed copy). We would love to see you on one of our tours, and we’re more than happy to answer any questions you may have. So, do have a good look at our new travel brochure.